HOW TO CHOOSE THE BEST PHONE ACESSORIES | RAWR BOWS. I am a big tech fan. I am that person who will sit down and watch all the Apple Conferences live feeling like a child on Christmas day. One of my favourite days of the year is when the new iOS comes out and I get to update my phone. And I’ve got no shame. 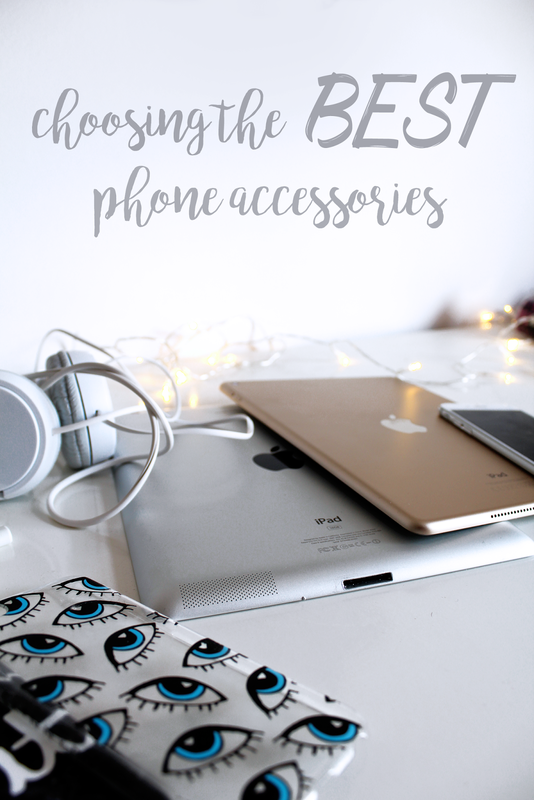 Thus, I also love reading and getting accessories for my phone and laptop - anything from headphones to portable chargers. Now that the iPhone 7 no longer has a headphone jack and so owners are forced to either use an adaptor or use Bluetooth/wireless headphones, the wireless headphone industry is going to reach a new level. Because, let’s face it, A LOT of people have iPhones and they’re going to be buy-in headphones. However, choosing which ones to buy is a tough task. The market is flooded with different types and different brands and it can be overwhelming. I recently found a website, dewired.co.uk*, and they have great lists ranking the best headphones by categories - wireless, waterproof, sports, etc. One essential phone accessory is a charger. Gone are the days when people use to go around with their charger in their bags and going to Starbucks just to use the sockets. Powerbanks are the best way to charge your phone on the go, because nowadays we all rely on our phones to do everything. Dewired also has great articles about various chargers and the pros and cons of all of them, making it super easy to choose which one’s the best for you and you're lifestyle. Finally, let’s talk about what’s maybe the least essential phone accessory - speakers. It might not be a must-have, but it is definitley a great thing to have as most phones’ speakers are not too amazing. My speakers are always on when I’m chilling with friends, or even when i’m just getting ready or cleaning the house. Again, Dewired has brilliant articles explaining the different types of speakers that are available in the market so you should definitley check those out before buying one!